Scrapitude – get through clue #3 and clue #4. 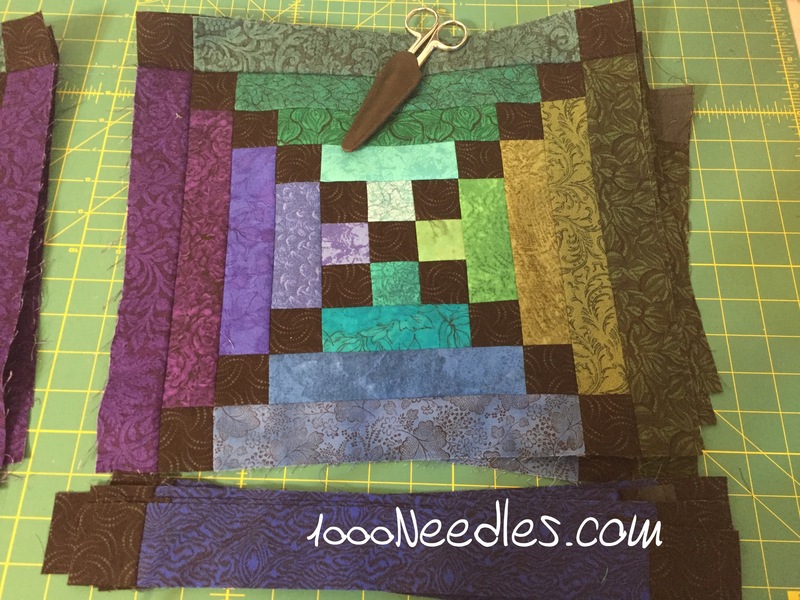 Month by Month – finish quilting the border, bind and label. 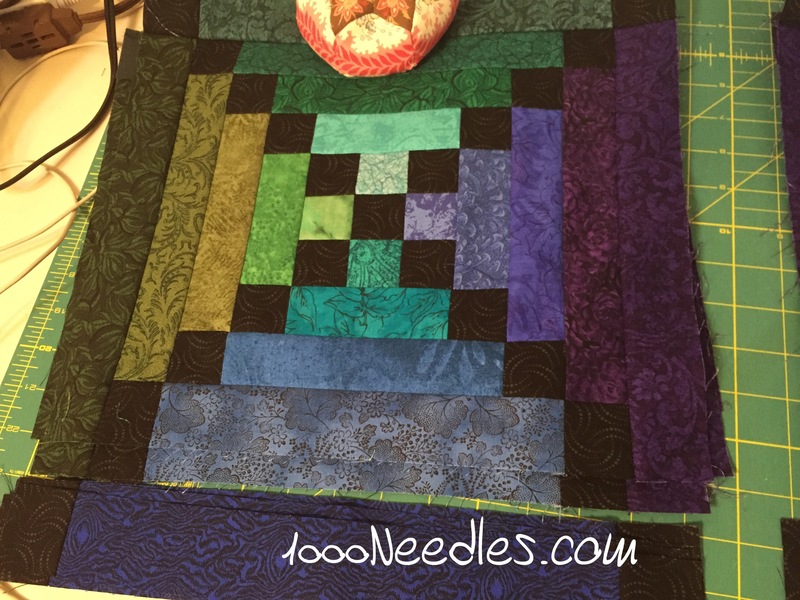 Tell It To The Stars – finish the back, quilt on Bailey, bind and label. My design wall is still the back of Tell It To The Stars. I’m thinking of removing this and putting up Moon Glow now that the alternate blocks are almost complete. But I do need to figure out what to do with the back of this. I want to design it but at the same time I just want it done so when I get to that point I may just get a back. Moon Glow is gorgeous! Lovely colors. I love your blocks! The color choices are fantastic! 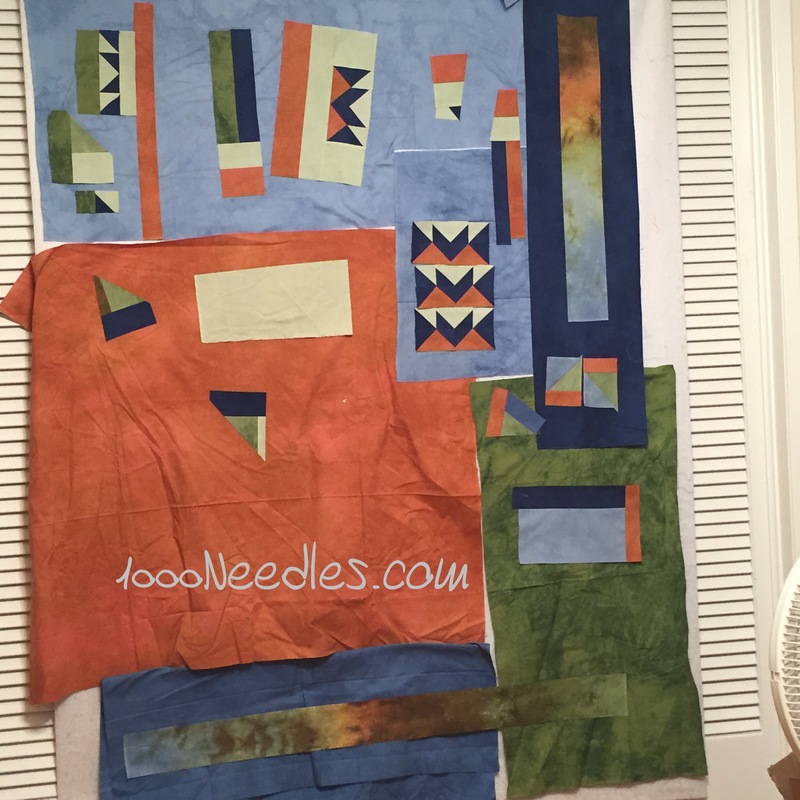 Moonglow is just so pretty – you have to love those fabrics.